Guess where we took our family this week? 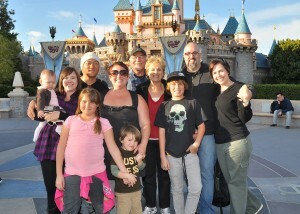 L-R: Layla, Janna, Maddie, Corey, Amber, Jack, Grandpa, Grandpa, Nick, Nate, Tamara. This entry was posted in Family, Our Children, Our Grandchildren, Personal and tagged Family, grandchildren. Bookmark the permalink.